"Very tasty on potato bread buns with sliced cheese." Stir onion, tomato sauce, brown sugar, vinegar, chili powder, soy sauce, salt, and mustard together in a slow cooker; add roast. Spoon onion mixture over the beef to coat. Cook on High for 7 hours. 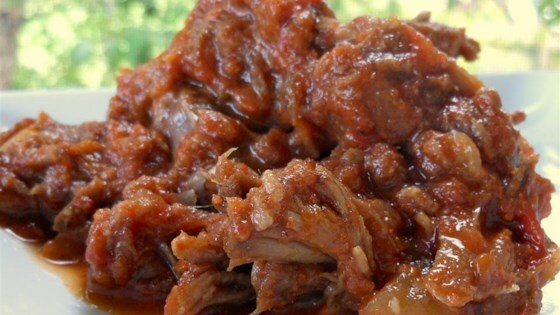 Shred meat in slow cooker with a pair of forks. Continue cooking 1 hour more. I made this and it was very bland. There was just not enough flavor. I followed the recipe exactly. We thought this was great!! Will make again.